Sometimes the terms non traditional should apply. We are pioneers in light weighting food cans to advantage lower cost packaging and metal source reduction. Reduction as little as 5 lbs base weight can reduce metal through put at a food processing plant by many tons of material. We would prefer our food customers stay in that business and not the metal conversion business. Easy Open ends can be single or DR tinplate for processed foods. 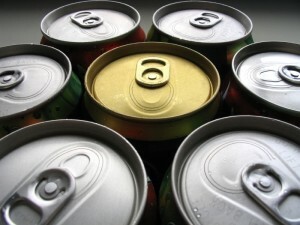 Aluminum ends for processed food and beverages with a variety of opening features. Aluminum and foil membrane are available with valves or plain for dry pack and gas flush coffee cans. We are the original supplier of metal, decorating service and shaping technology for The Comfort Foods Coffee Co. Today, Comfort Foods remains the innovative leader in the marketing of gourmet Roasted & Ground Coffee in stylish tinplate shaped cans in the USA.